The average Denver Nuggets Vs Portland Trail Blazers tickets price will cost you between $132 and $218, if you are looking for the cheapest seats then catch the event being held at the Pepsi Center - Denver, Denver on 05/04/2019. 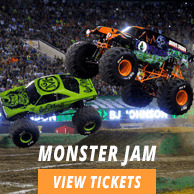 The average ticket will cost you the highest on 07/04/2019 at the Moda Center at the Rose Quarter, Portland. Minimum get in price is for Denver Nuggets Vs Portland Trail Blazers tickets is $21 for the event being held at the Moda Center at the Rose Quarter, Portland on 07/04/2019 , there are some venues that have a much higher get in price, for instance the cheapest seats at the Pepsi Center - Denver, Denver on 05/04/2019 will set you back $36. When do denver nuggets vs portland trail blazers tickets go on sale? Denver Nuggets vs Portland Trail Blazers tickets are now up for grabs!